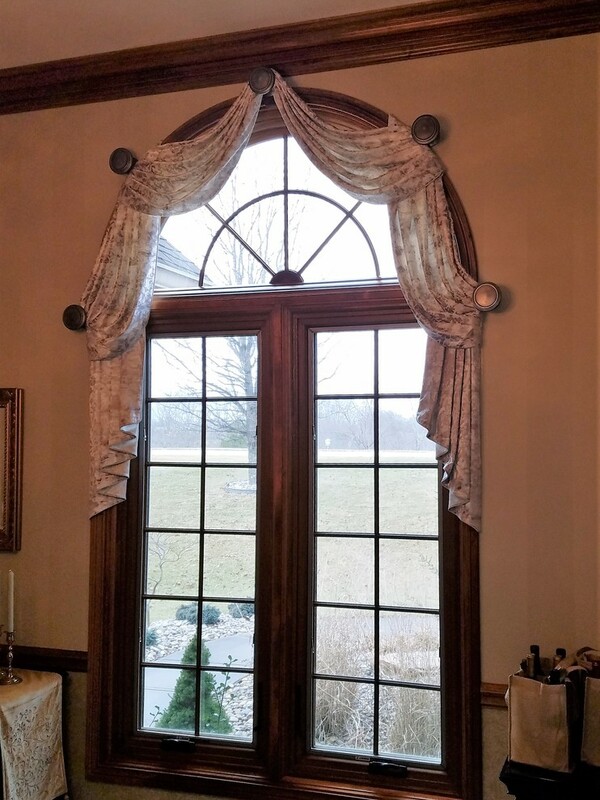 Arched Swags with Cascades in Formal Dining Room. 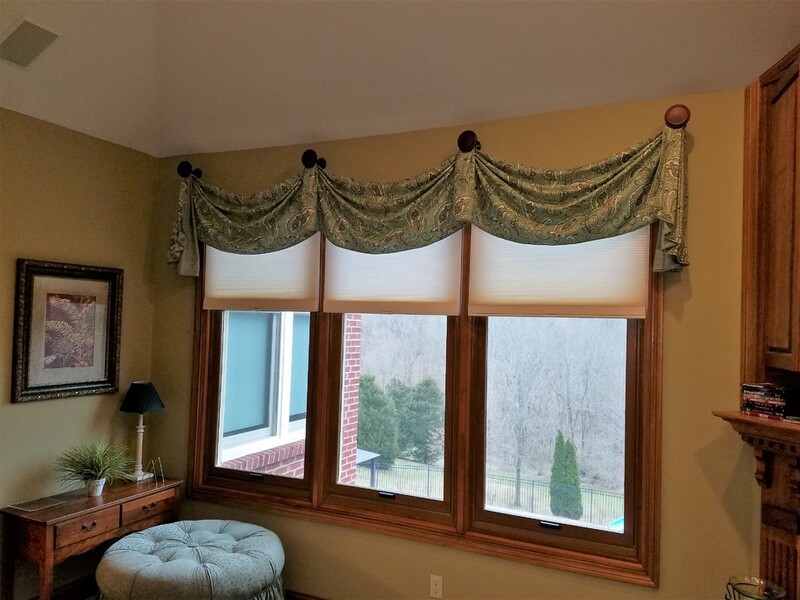 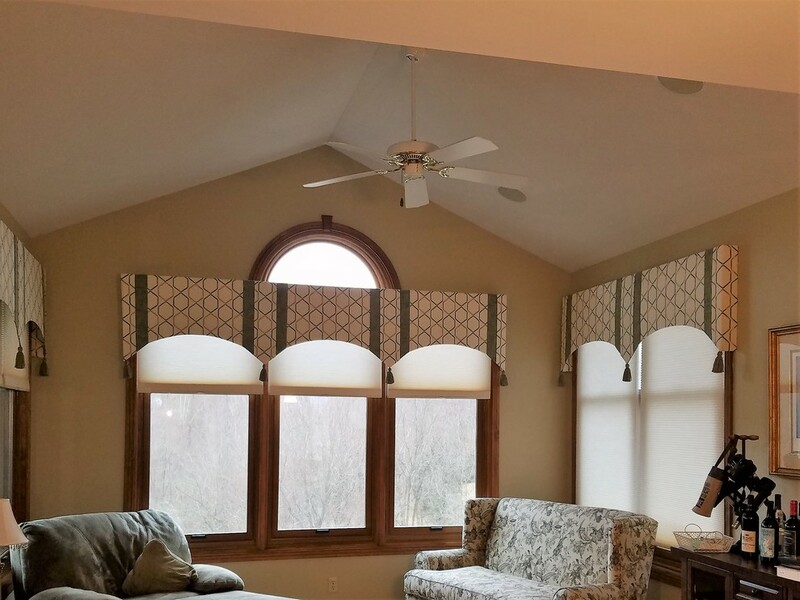 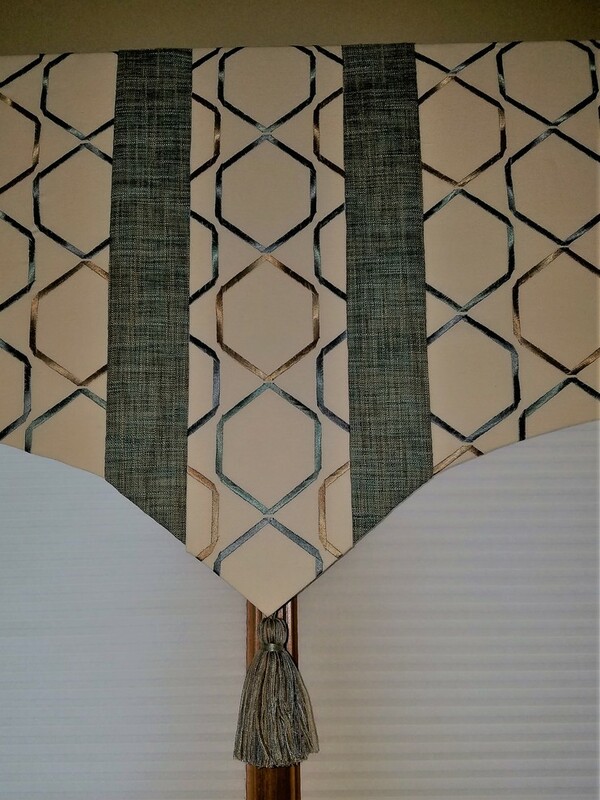 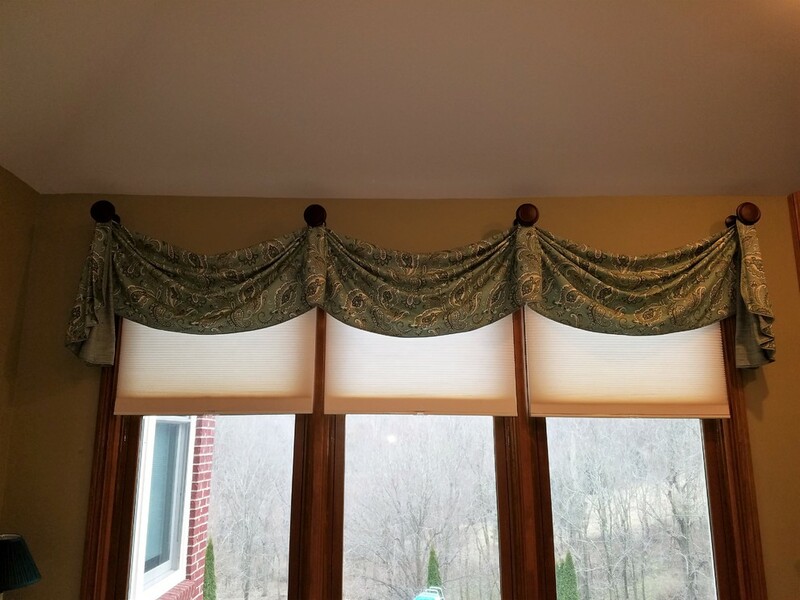 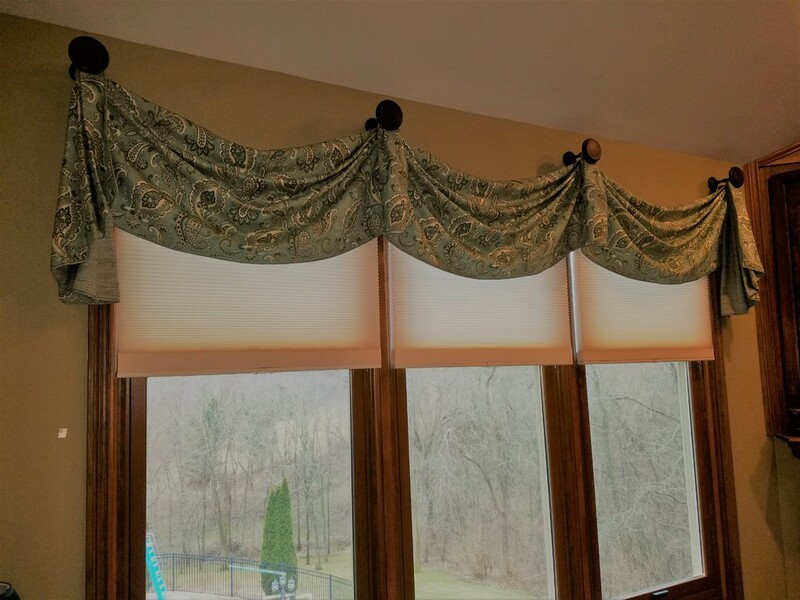 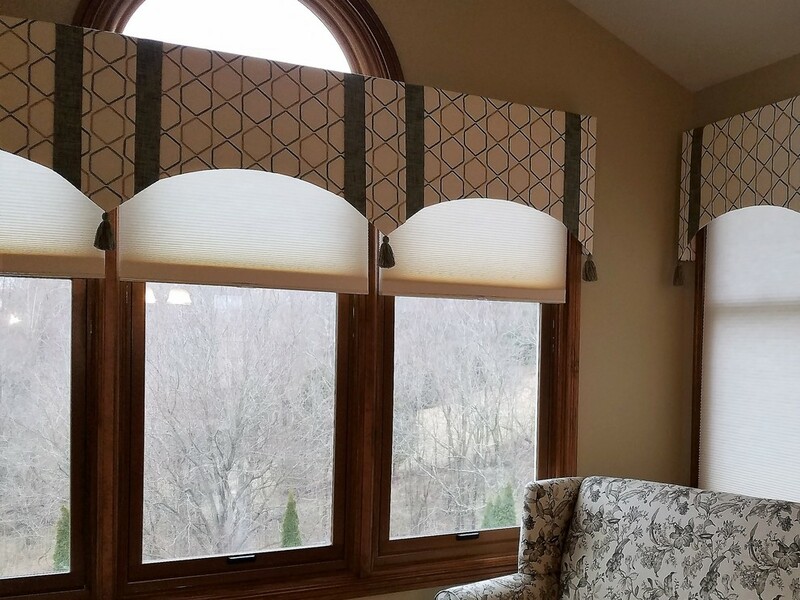 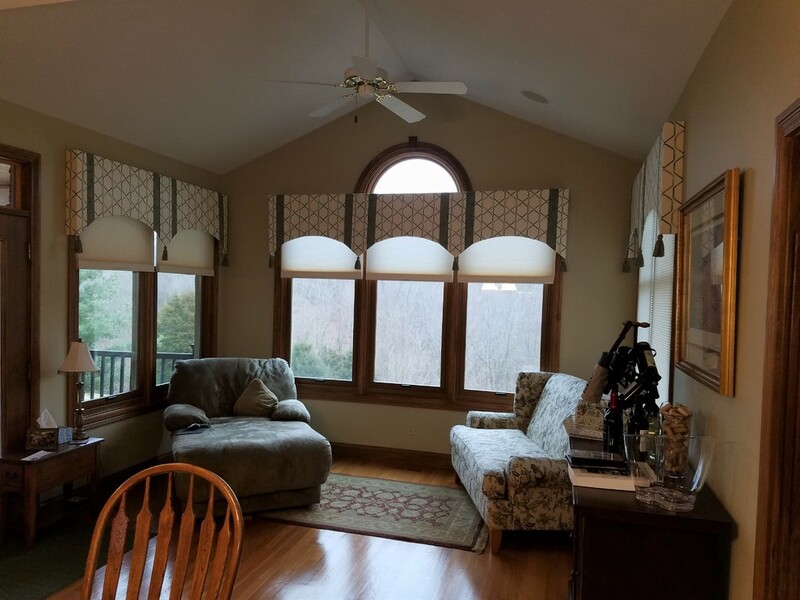 Morrison Valance (Pate Meadows) hung using drapery medallions for Family Room. 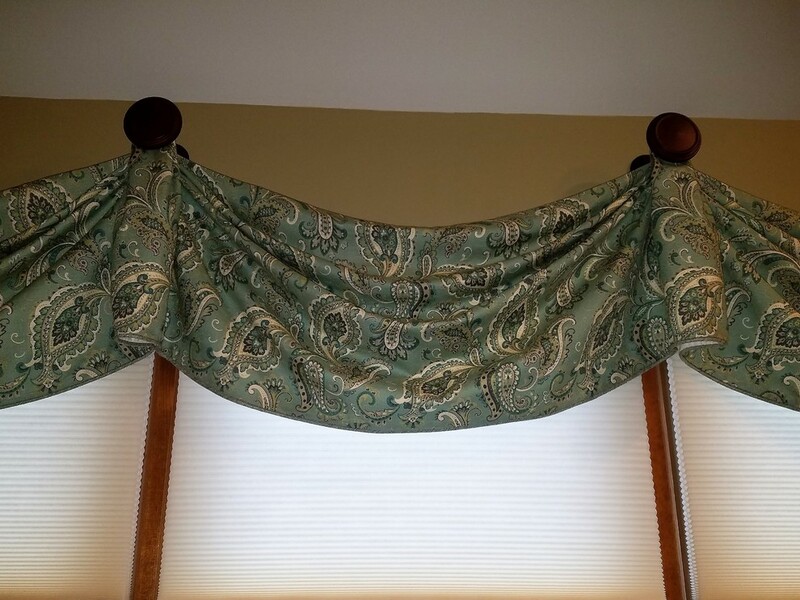 Fabric Pattern Kenilworth Paisley in Seafoam by RM CoCo. 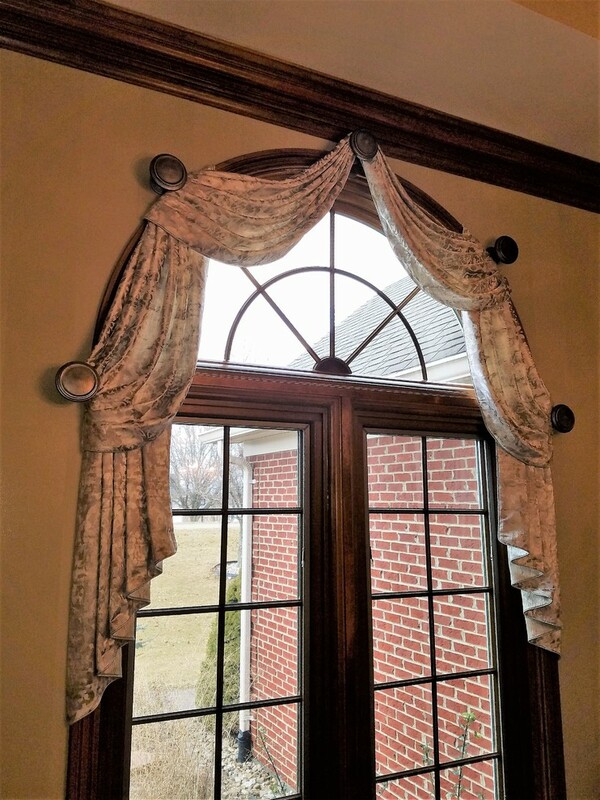 Medallions in Walnut Finish by Select Hardware. 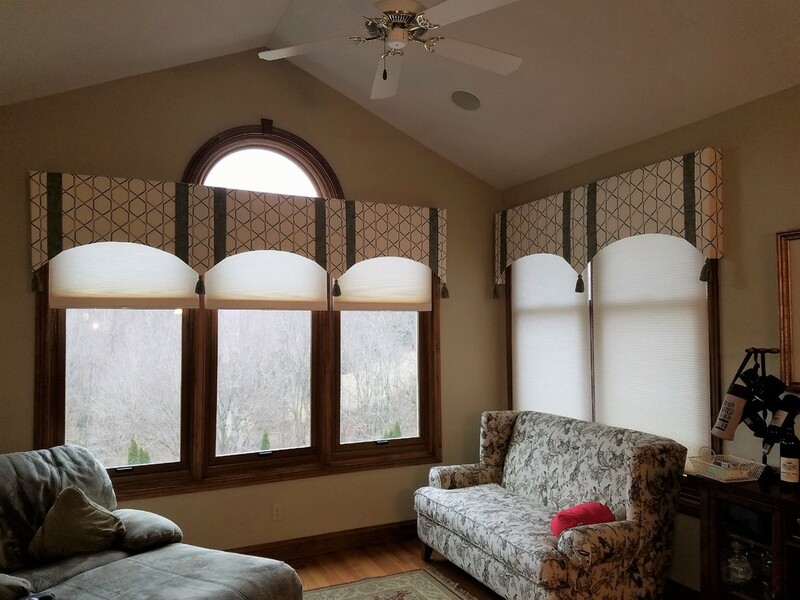 Relaxed Roman Shades with decorative banding in Master Bedroom. 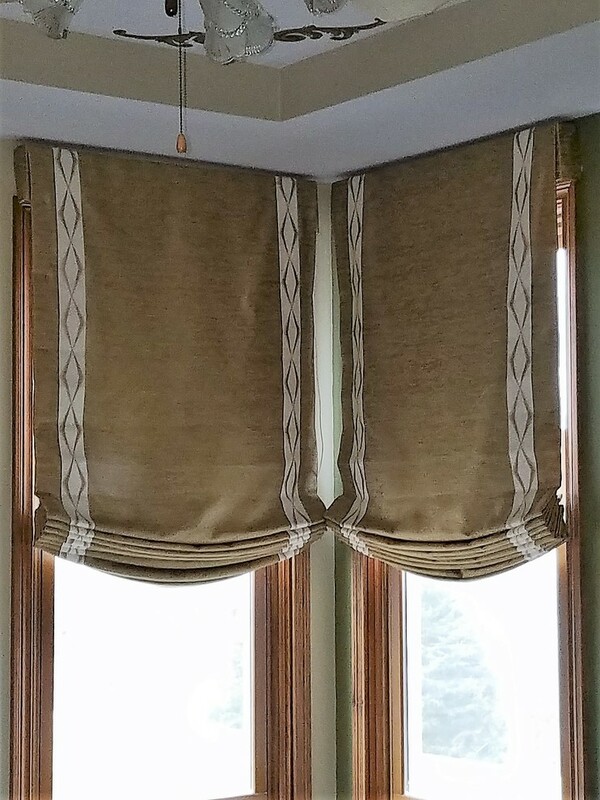 Soft Cornices with Double Layer Pelmets & Key Tassels in Sunroom.